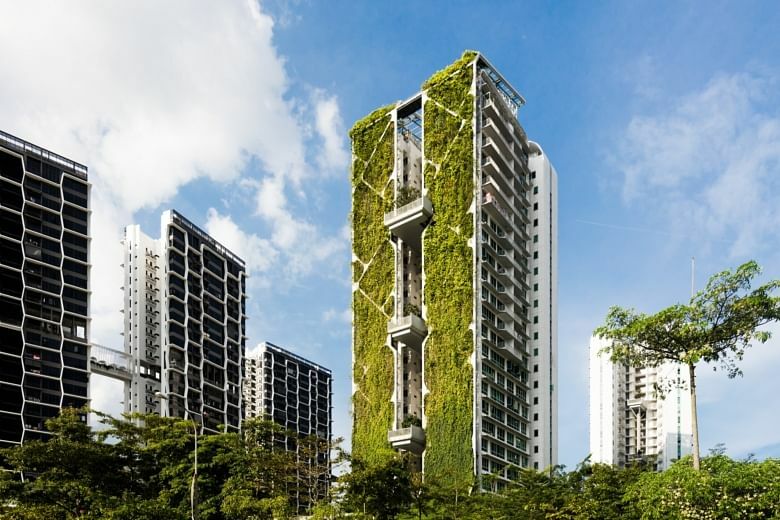 SINGAPORE - Singapore’s high-rise greenery coverage could double by 2030. The Government has set this target to make the urban landscape more attractive and support richer urban biodiversity, said Second Minister of National Development Desmond Lee on Thursday (Nov 9). Currently, there are around 100ha of high-rise greenery islandwide. This is equivalent to more than 100 football fields. To hit the new target of 200ha of building greenery, set as part of the Sustainable Singapore Blueprint a few years ago, the Urban Redevelopment Authority (URA) will ramp up and enhance its existing Landscaping for Urban Spaces and High-Rises (Lush) programme, which was first launched in 2009 to incentivise developers and building owners to integrate greenery in their projects. Speaking at the opening ceremony of GreenUrbanScape Asia at the Singapore Expo on Thursday morning, Mr Lee said "an appreciation and love for greenery is now core to Singapore's national identity". "With the support of our industry partners, I am sure we will reach this goal," said Mr Lee, who is also the Minister for Social and Family Development and a nature lover. The enhancements aim to encourage landscaping on walls and roofs that not only beautifies buildings, but also provides visual relief to passers-by and cools the ambient temperature, said a URA statement. Currently, developers must replace lost greenery from a site during the development process. But they can do so only through landscaping options within the building, or by creating sky terraces and gardens on rooftops. Features such as urban farms, solar panels and communal gardens on rooftops will now contribute towards the landscape replacement requirements. 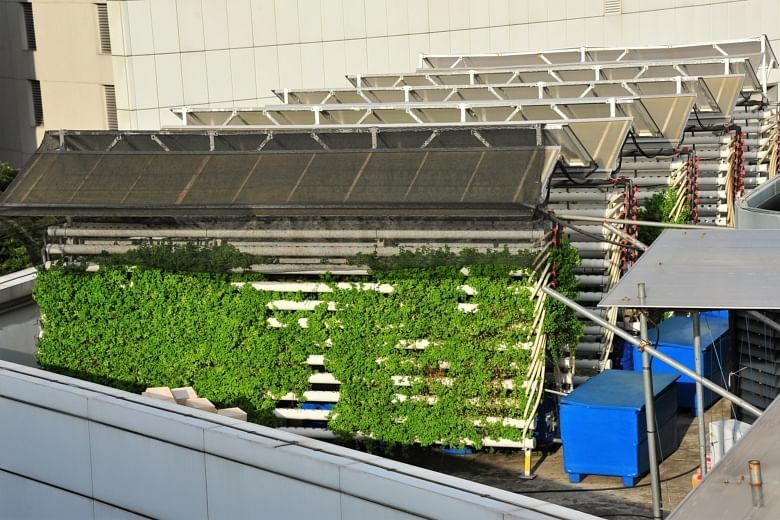 Said Mr Lee: "Such features have been gaining popularity in our urban landscape as many Singaporeans have a keen interest in farming and gardening." He cited a joint study by the National Parks Board (NParks) and the National University of Singapore, which identified a substantial amount of biodiversity in roof gardens in Singapore. The study recorded 53 bird species and 57 butterfly species in just over 30 study sites. It was conducted from May 2014 to December 2015, and cost more than $150,000. "This joint study suggests that with careful design planning, urban roof gardens can play host to a diverse range of wildlife, and help complement the equally important work of natural habitat conservation and enhancement," he said. According to the study, which is the first of its kind in Asia, roof gardens that attract the most wildlife are located at lower heights in a building, specifically below 50m; have a larger planted area of more than 1,100 sq m; and have flower- and fruit-bearing plants that are planted by people or have grown naturally. 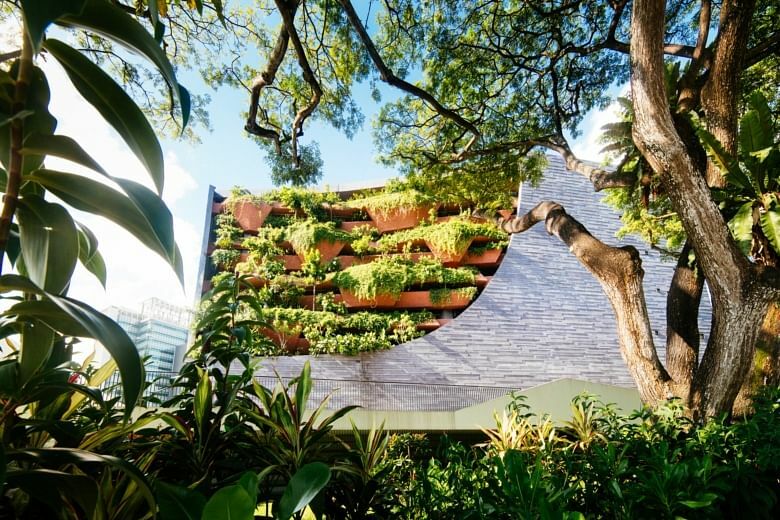 “The study provided very strong evidence to give confidence to designers... to make more responsible, more informed roof gardens,” said Mr Poh Choon-Hock, 38, a researcher at NParks’ Centre for Urban Greenery and Ecology, and an architect by training. As these greener methods of using rooftop areas will require developers to relocate mechanical and electrical equipment, URA will sweeten the move by granting gross floor area exemptions for the space where the relocated equipment is placed in. These exemptions could represent significant cost savings for developers and building owners. To help standardise the assessment of these green plans for buildings, URA will also roll out a new Green Plot Ratio (GPR) framework as a requirement for developers - it stipulates that denser greenery is required of buildings that see more intense use. GPR, which will consider vertical greenery coverage, is an improvement over the current standard, which takes only horizontal planted areas into consideration. GPR is already being used by the Housing Board to set minimum standards of green density. Today, there are 550 developments in the Lush scheme, including the Parkroyal on Pickering hotel, Westgate shopping mall and the Lee Kong Chian Natural History Museum. GuocoLand Singapore is also under the scheme. Its group managing director Cheng Hsing Yao, 46, supports the broad direction of encouraging developers to add more "skyrise" greenery. The enhancements to the scheme will encourage developers who have not done so to get on board, Mr Cheng added. Two out of three new residential developments so far have applied for at least one Lush incentive, while more than half of new shopping centres, offices and hotels have also done the same, said URA. The total amount of greenery islandwide under Lush has been increasing at an annual average of 15 per cent. URA added: "Some people may find it hard to reconcile an image of a city that becomes greener as it gets more built up, but the Lush programme sets out exactly to do just that." Said URA's chief executive officer Lim Eng Hwee: "Development as part of city growth is inevitable. However, buildings need not remain as concrete blocks. Greenery can be purposefully integrated into our built environment and become an exciting part of our urban experience."